Electric push button chute rotation control allows you to throw snow where you want it without taking your hands off the handlebar. Multiple serrated steel surfaces provide advanced ice chopping and snow clearing power, allowing you to easily clear down to the pavement and through that tough end-of-driveway snow left behind by the plow. Powered by the largest single-stage snowblower engine in its class, the 1222EE provides more power than ever before to get through large snow drifts. 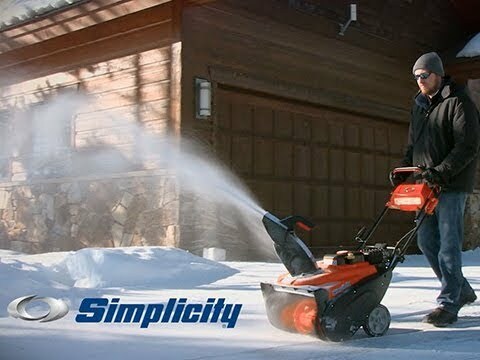 Powered by Briggs &Stratton® Snow Series Engines, this machine will offer the power and durability you need to tackle this winter's snow clearing. The integrated dual incandescent headlight provides easier visibility in low light.